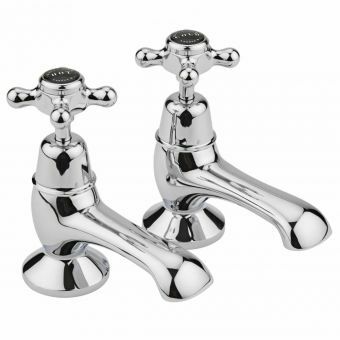 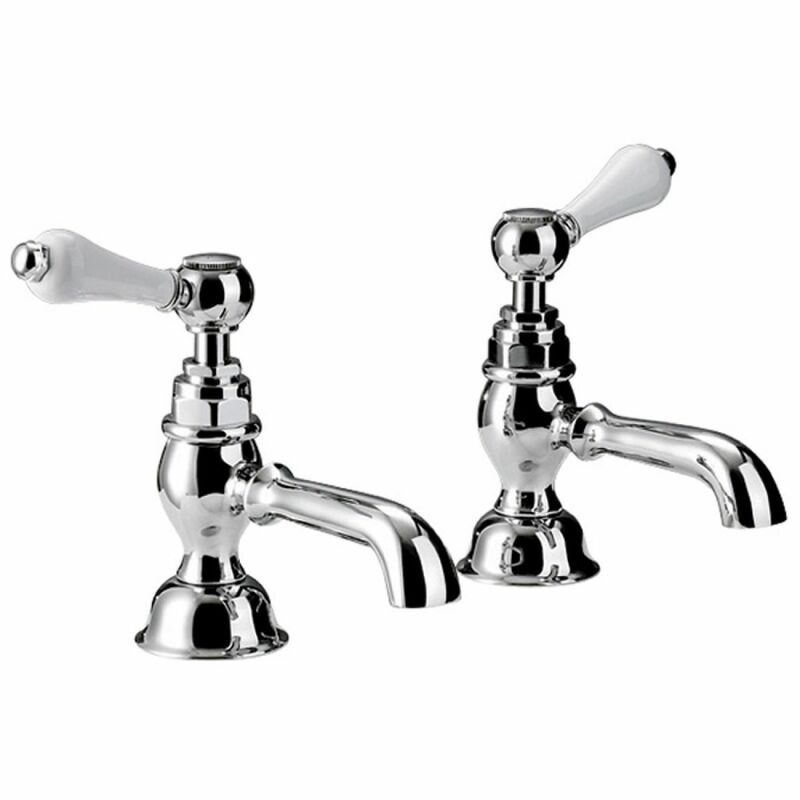 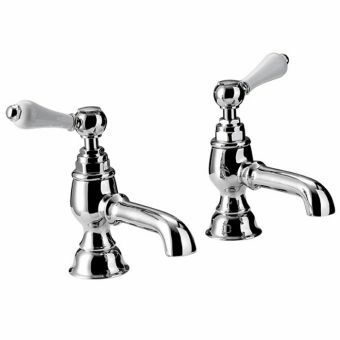 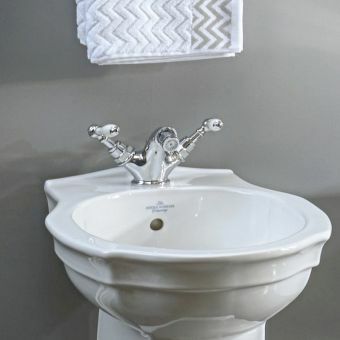 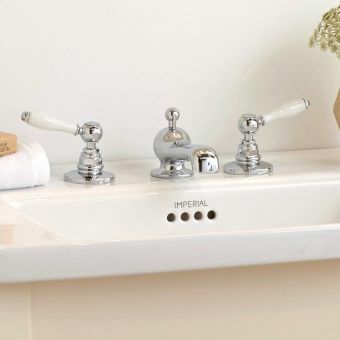 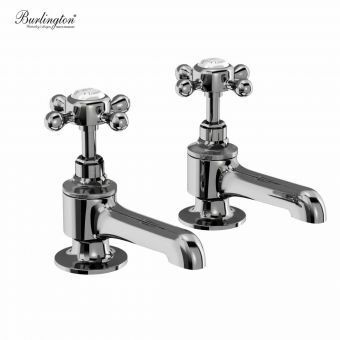 Designed to incorporate into the sophisticated bathroom setting with distinctive and luxurious style, the Imperial Crown Lever 3/4" Bath Pillar Taps is one of the beautiful and high quality selections available from the Imperial Classical Brassware Collection. 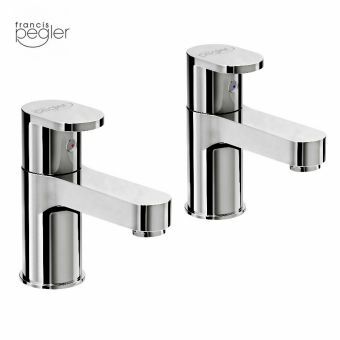 Featuring lever style ceramic handles and your choice of chrome finish or antique gold finish, these bath pillar taps are suitable for any style bathroom decor from traditional to contemporary. 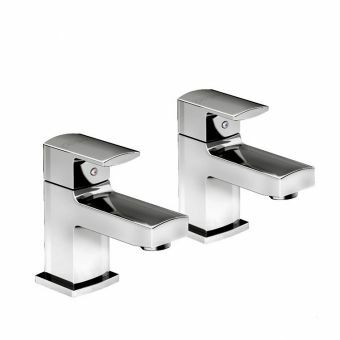 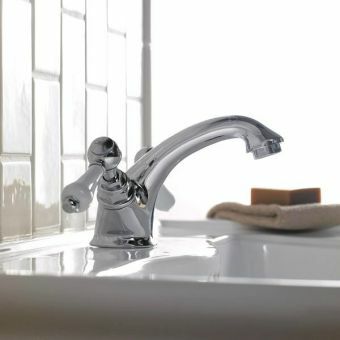 Using the quarter turn ceramic disc technology, these taps turn smoothly for perfect temperature and pressure adjustment every use. 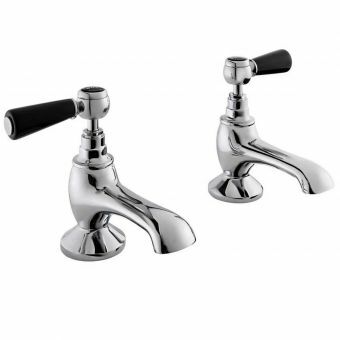 These taps work well with both low pressure water systems and pumped systems or high pressure water systems common in Europe. 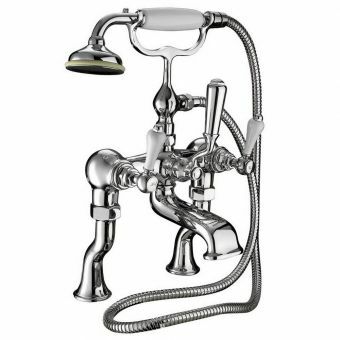 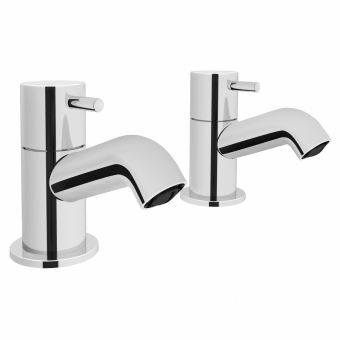 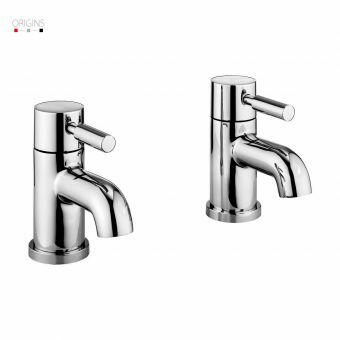 The Crown Lever brassware line includes a wide variety of taps and other bathroom fixtures and accessories offered in both chrome and antique gold finishes.